Jessie started life as a 100% indoor puppy in a small unit. She was well treated by her lady-owner but had very little training and was beaten by the man of the house. She did learn basic skills but was not properly socialised with other dogs, people and the environment. At 6 months old however, she outgrew the small home and was rehomed to a house in the country. Unfortunately because she was so wary of some men and ran off when left loose, she was tethered to a tree for 2 months! Her demeanor took a turn for the worse and she became frightened of people and highly anxious, also suffering from separation anxiety. The owners were going to put her down – fortunately she was taken from that environment and fostered by a Perth vet. 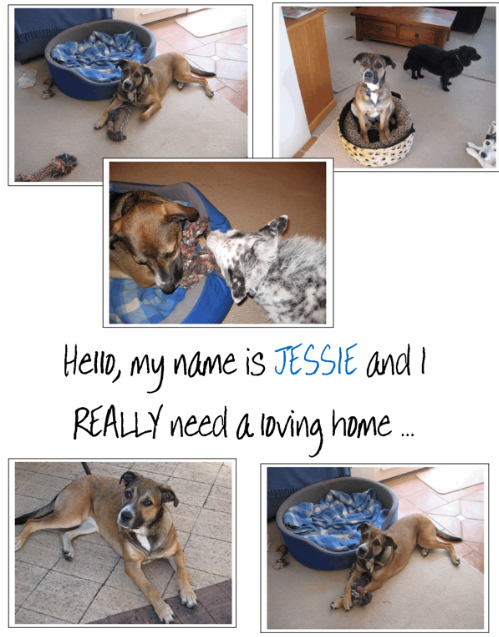 A loving home was found and great progress was made with Jessie’s socialisation and training. Sadly Jessie is too strong for her current owner who is approaching 70 and who also has two other dogs. Hence this cry for help to find this beautiful dog another loving home. 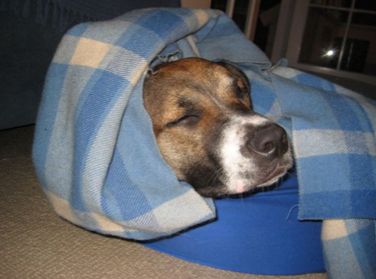 Jessie absolutely loves other dogs and has never shown any sign of aggression. She plays boisterously with other dogs and will pull on the lead to get to a passing dog so that she can play. Once she feels at ease with you, she quickly forms a bond and becomes affectionate, trusting and exceptionally loyal. She loves cuddles and belly rubs and loves to play with her toys. She has a few residual anxiety issues but they will iron out with time and love.